While visiting a city that you will be for the first time, it's good to know the tips about food and drinks there. In Barcelona city there are different local food and drinks which are traditional in Spain and if you know the tips you can make the best of it. So in our last article we tried to introduce you one of the finest restaurants of Barcelona city but we didn't give the tips of food & drink in Barcelona. In your country, food terminology may differ and when you travel to different city from your hometown then you may need some ideas before you plan your Barcelona travel. We will go on being your Barcelona city travel guide. Here below some useful tips for Catalan cuisine. 1) In Barcelona, breakfast is generally to go but there are some places you can have breakfast. ( In food & drink article we will give the restaurants' names). 2) Restaurants are generally open until 11.30 pm. 3) Lunch time is basically from 2.00 pm to 4.00 pm. 4) Dinner time usually begins at 9.00 pm until 11.30 pm but of course there are some restaurants you can have your lunch before 9.00 pm. You can pop up fast food restaurants or bar snacks before 9.00 pm. 5) Try to search some good restaurant both at quality and price as it will be the first time in Barcelona city you had better try the best traditional food so that you won't feel bad about Barcelona city's food. 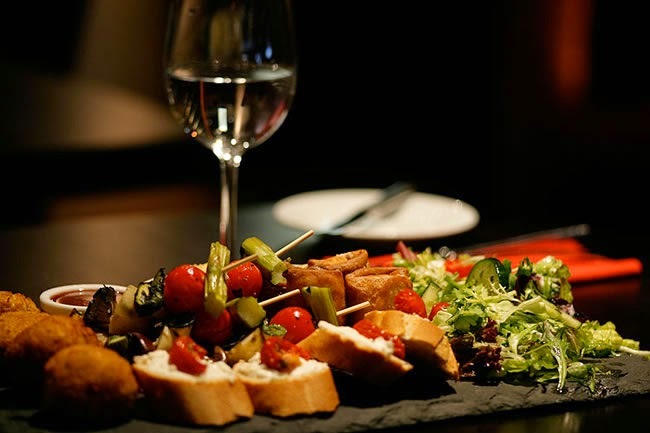 For instance, there are so many tapas restaurants but of course not all of them offer food at good quality! 6) Try to check the “Menú del día” menu of the day as this will let you pay less like 12€ for three separate courses at the same time with bread and a drink such as bear, water of soft drink but please note that coffee is not included in this fix menu. 7)In Barcelona city, doggy bag I mean taking with you what you haven't eaten is not common. You may want to pay attention to this issue. 8)Leaving tip is not expected highly at restaurant but if you would like to %5 of the bill is pretty more than expected. 9) On Thursdays generally Paella is only served at restaurants. 10) Sometimes it may get difficult to find a place to have something after 4 am but there are a few snack bars open till morning if you can come across. 11) Lastly, if you can't decide on what you eat at lunch or supper, act like local people and have what they order from menu of the day. If you have any other ideas about food and drink tips in Barcelona city, please share with us. We would appreciate your suggestions.